PANDORA Rose Vintage Allure Necklace. 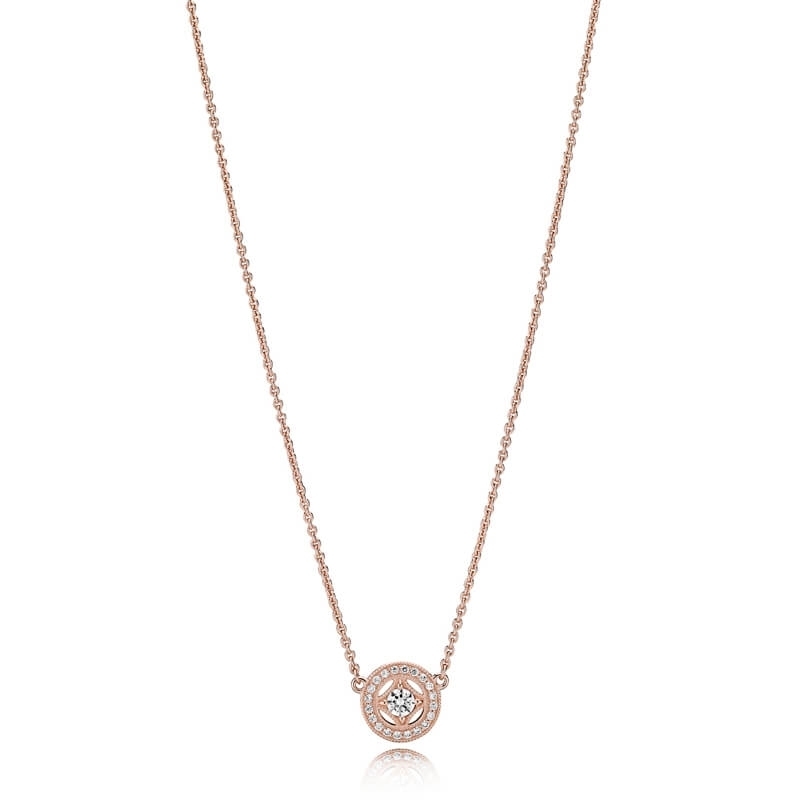 Teaming with vintage inspiration; this stunning necklace is radiant with cubic zirconia stones, art deco shapes and beautifully finished in the romantic blush hue of PANDORA Rose. With a 45 cm chain, it's the perfect piece to make you sparkle on any occasion.